Grapefruit Pink Essential Oil has a fresh, sweet citrus smell that is very characteristic of the fruit. The grapefruit tree was originally from Asia but it is now grown and harvested in the United States, France, Brazil and Israel. The grapefruit tree itself is a large, shiny gloss-leaved tree, about 10 meters (30 feet) high, with white flowers and large, pale yellow fruit with pink flesh. Grapefruit Pink Essential Oil is believed by aromatherapists to be a spiritual up-lifter, and to ease muscle fatigue and stiffness. It is also a purifier of congested, oily and acne prone skin and is sometimes added to creams and lotions as a natural toner and cellulite treatment. Grapefruit Essential Oil is reputed to ease nervous exhaustion and relieve depression. The differences between the White and Pink Grapefruits are minor. 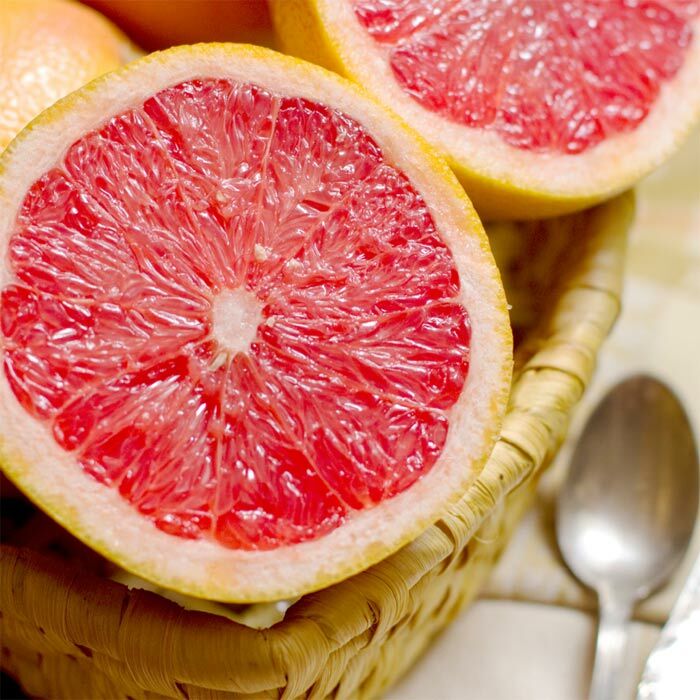 The difference in cost is simply an example of supply and demand; there is more pink grapefruit produced because it is sweeter than the white variety. Grapefruit Essential Oil can cause photosensitivity. Avoid use during pregnancy.